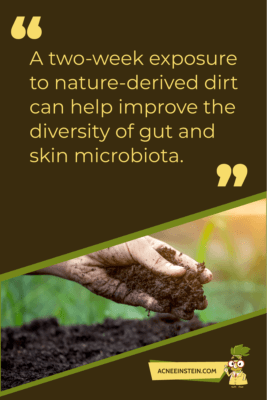 A two-week exposure to nature-derived dirt can help improve the diversity of gut and skin microbiota, according to a recent study published in Future Microbiology. Do you remember your mother always asking if you had washed your hands after playing outside? We have always been advised to wash our hands with soap and water after touching anything that’s “dirty”. While this practice is not inherently bad in itself, too little microbial exposure can be bad for our immune systems and health. Sadly, such a situation is common among the urban dwellers who have nearly lost their connections to Mother Nature. On the other hand, touching microbes present in nature, such as those present in the soil or certain plants can actually recharge the body’s defense systems. In fact, doing so might help keep allergies and autoimmune conditions at bay. Researchers at the University of Tampere and the University of Helsinki, who discovered these breakthrough findings, say that being closer to nature-derived microbes is a type of “drill” for our immune systems. 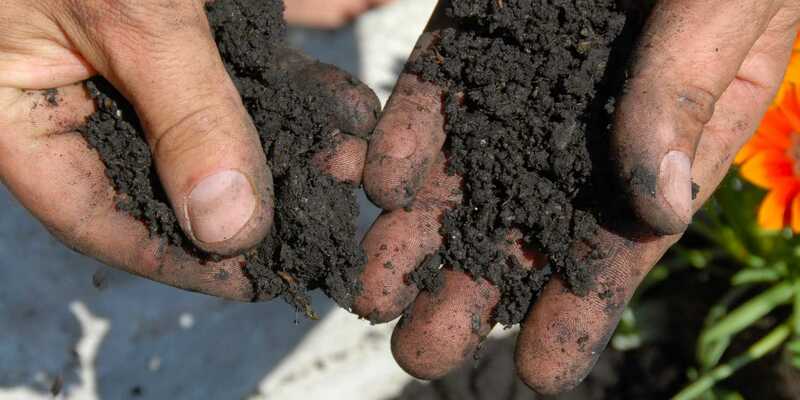 Effect of Dirt Exposure on the Skin and Gut Health: What Did the Study Find? In 2017, Finnish researchers conducted a study to investigate the effects of dirt exposure on human microbiota. They divided fourteen healthy adults into two groups – Group 1 and Group 2. Participants in the first group rubbed their hands with a preparation made from soil and plant materials. It contained cattle dung, horse dung, chicken dung, deciduous leaf litter, plant debris, horticultural peat, sludge, and fine mineral soil along with dried moss. They rubbed their hands for twenty seconds three times a day. Then, they washed their hands with only water and dried them using a towel. Their stool and skin swab samples were taken right before the exposure, and fourteen days and thirty-five days after the exposure. In addition, the study nurses took blood samples routinely during each visit. Participants in the second group were a control group, meaning they did not come in contact with any kinds of nature-derived microbes. After analyzing the samples, the researchers found that the participants in the first group had a more diverse microbiota in the gut and the skin. Most notably, the change in gut microbiota was more pronounced than the one in previous studies that used oral probiotics. Can Touching Dirt Help Relieve Acne? Acne is an inflammatory skin disorder with a potential link to changes in gut and skin microbiota. 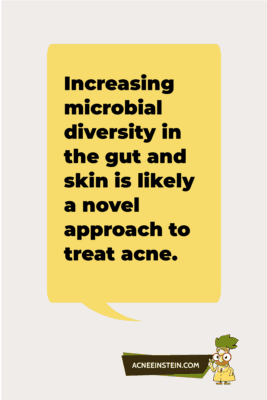 Therefore, increasing microbial diversity in the gut and skin is likely a novel approach to treating acne. A growing body of evidence suggests that persons with acne can have an imbalance of bacteria in their guts (gut dysbiosis). For example, one study showed that microbial diversity is significantly different between those with and without acne. We have also written more about the gut-acne connection in some of our previous posts. Yet another study found that certain types of bacteria were lowered in persons with moderate to severe acne. These included – Bifidobacterium, Butyricicoccus, Coprobacillus, Lactobacillus, and Allobaculum. All these findings point towards the beneficial role of increased microbial biodiversity in acne. One big caveat of the study is that it was not large enough to offer conclusive results on the role of dirt exposure in gut and skin health. Nonetheless, it is apparently beneficial to play with selected types of dirt to improve bacterial biodiversity and probably acne. If you want to read more about the gut-acne connection, you can check some of our previous posts about the subject! Great research. I tried to read the study but couldn’t. Do they have anything to say about how the bacteria got from the hands to the gut? had to have been from hand to mouth contact afterwards, not through skin sublimation, correct? I can’t say. That was not specified in the paper. 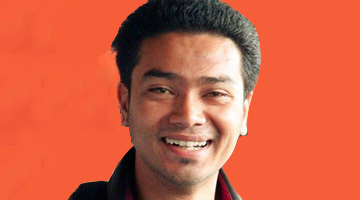 Great article Shailesh!! All of this microbiome stuff is so interesting and I expect very relevant to future understandings of health.